I figured it would be only fitting to sprinkle in some recipes from my amazing sister, Stephanie. I’m not much of a baker, however, I sure do love to test taste her food as well as eat in general (I know I’m not the only one). So I asked her if she could share various recipes for the season! 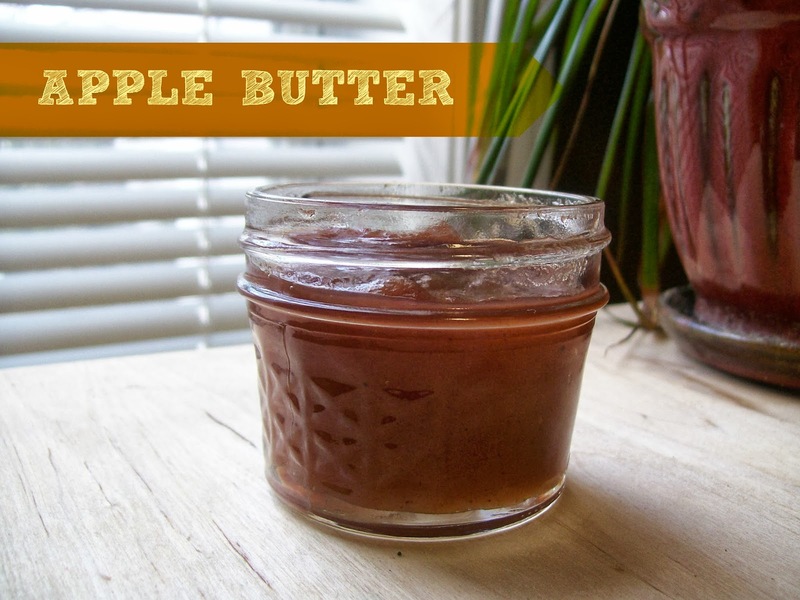 When I tell you that this apple butter is to die for…I’m serious (I once…just kidding). This recipe makes roughly 40 ounces of apple butter. 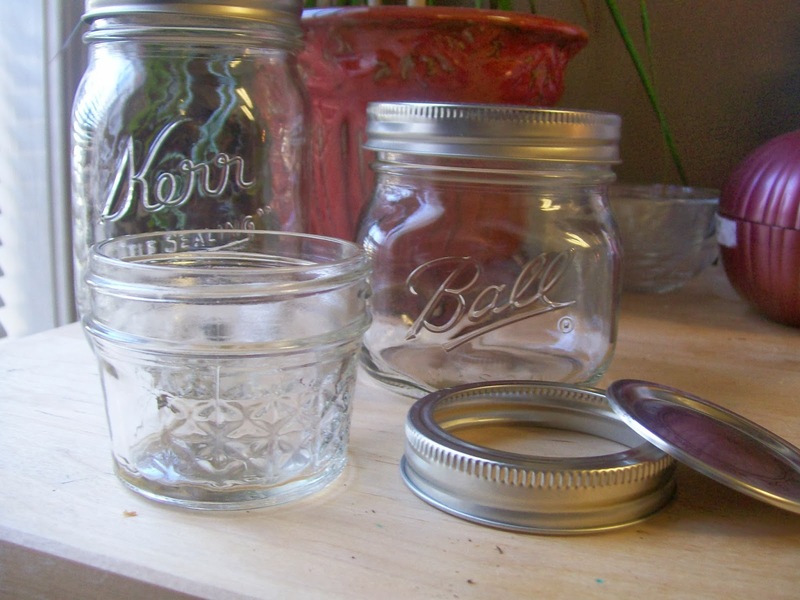 So you can make 5 small 8-ounce jars (great as gifts or house warming presents), or a couple large sized jars, it’s up to you. 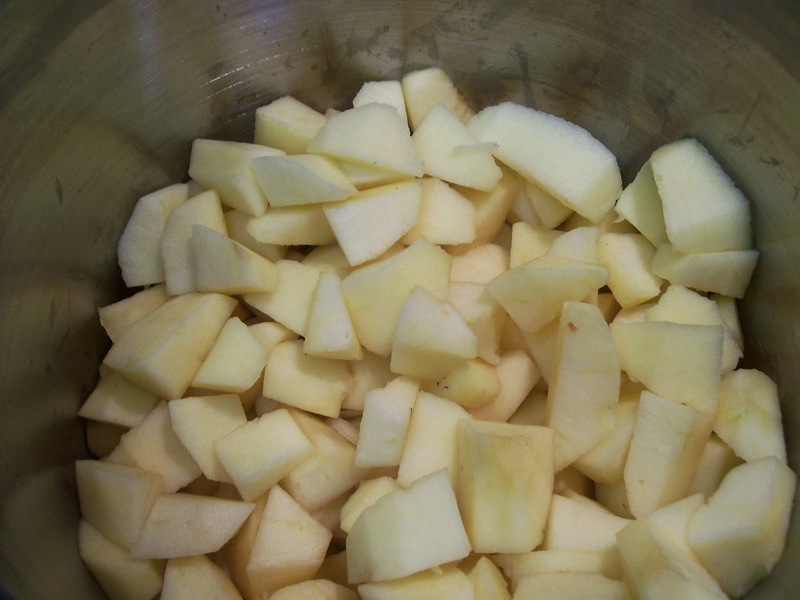 Place your apples in a large deep stainless steel pot (or a pot that’s non-reactive). You want enough room for your apples to boil. Pour about 1/2 gallon of apple cider over your apples just enough to cover them. Let them boil for 20-30 minutes until tender. Once your apples are nice and tender. 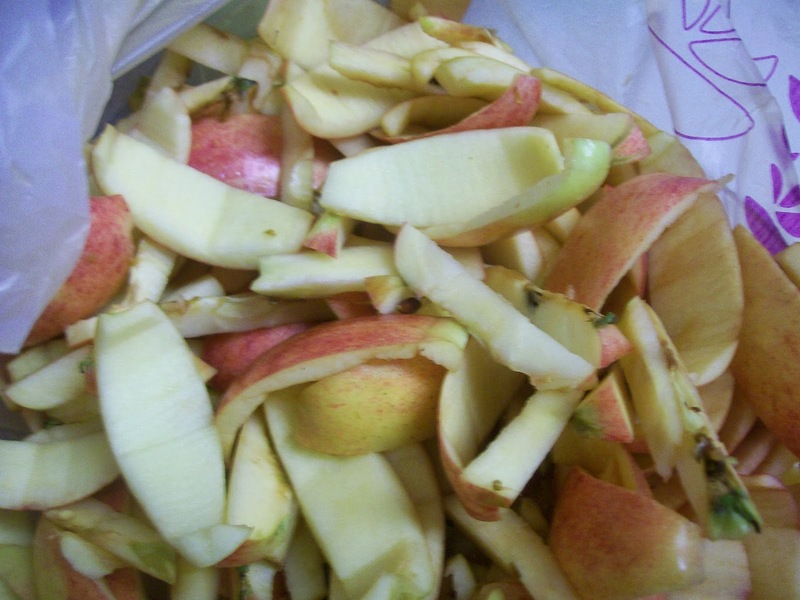 Remove from heat and spoon your apples into a food processor or blender and puree them. Adding a little cider liquid helps too. Make sure to put the puree in a large bowl and reserve the apple cider in a cup in case you need to thin your mixture out. 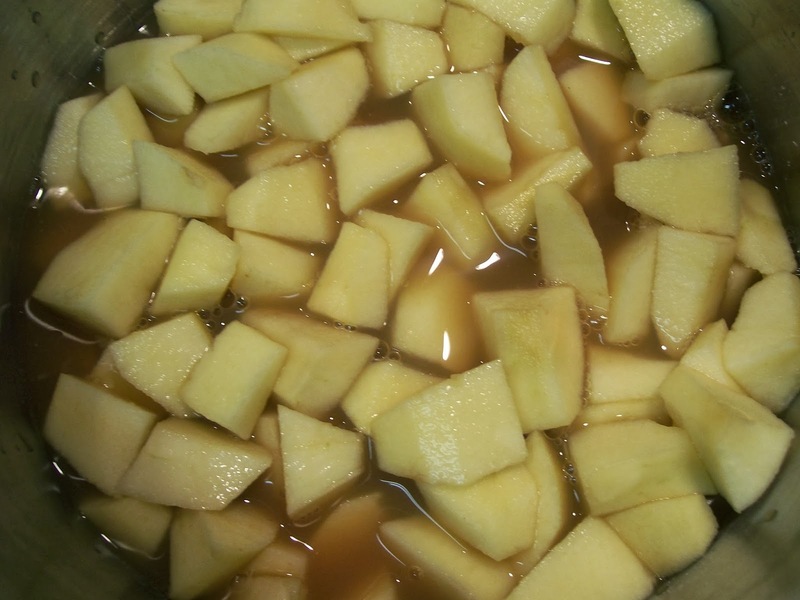 Once your done pureeing your apples you should have what looks like thin applesauce. 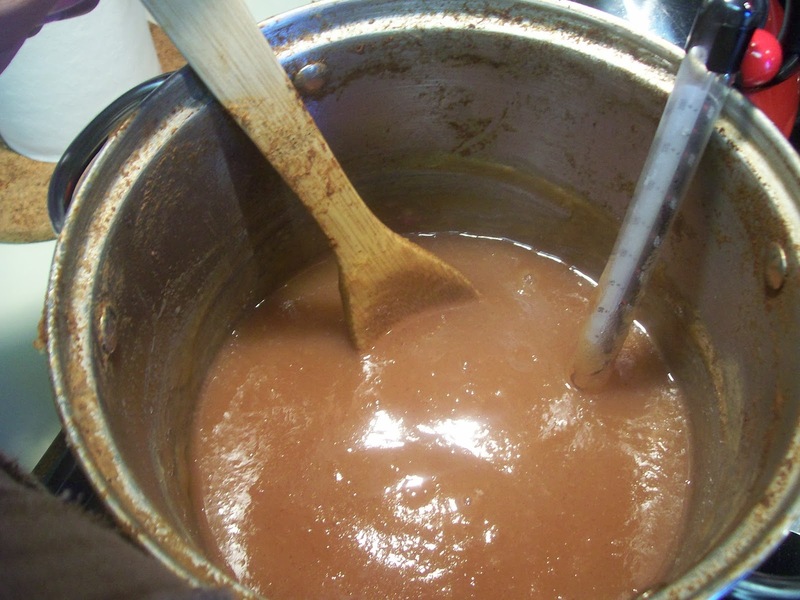 Transfer your applesauce back into the pot and if it looks kind of thick add more cider to it, but don’t dump all the cider back into the pot or you will end up with apple juice. Discard the rest of the apple cider you don’t use. 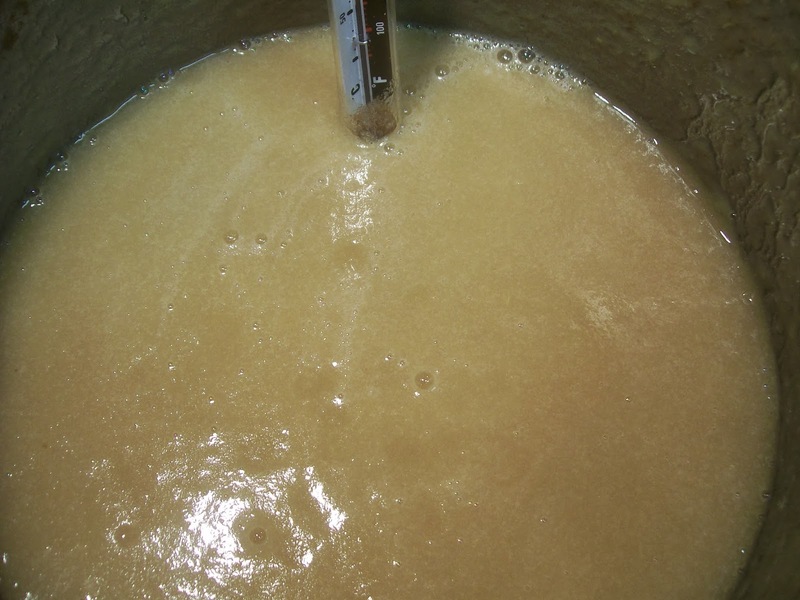 Bring puree to a boil on med-med low heat about 225 degrees (a candy thermometer helps). Add 2 cups of sugar or to taste, spices, and juice from 1 lemon. Stir mixture until well blended. Turn the heat down a bit and let your puree simmer for 2-3 hours (longer if you want super thick butter) stirring occasionally. After a few hours your apple butter should darken and become nice and thick. It will cook down a bit, so don’t freak. At this point your butter should be making plopping sounds and splatters a bit. If your butter slowly comes off the spoon and looks nice and thick, then its ready to put in jars. You wan to use “Self-Sealing” jars to ensure that your apple butter will stay fresh for up to 6 months. You can find these at your local grocery store in the produce section. They come in many different sizes and are very easy to use. Many grocery stores even sell the canning kits that come in handy when handling a really hot jar. Be sure to wash all your jars with hot soapy water, let dry on a clean towel, before using. Remove your apple butter from the heat. 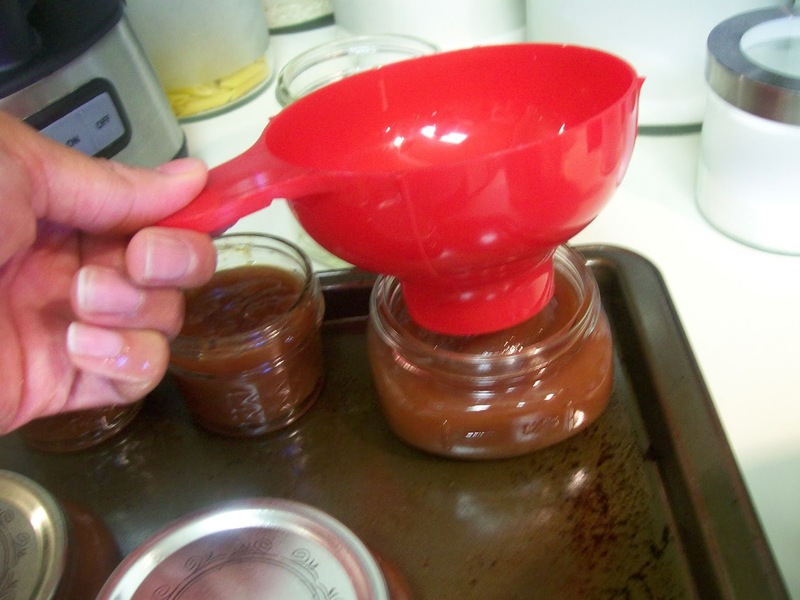 Using a large-mouth funnel spoon your apple butter into each jar leaving 1/4″ of space at the top. Cover and seal each jar. Do not close them super tight, just tight enough to not let any water get in. 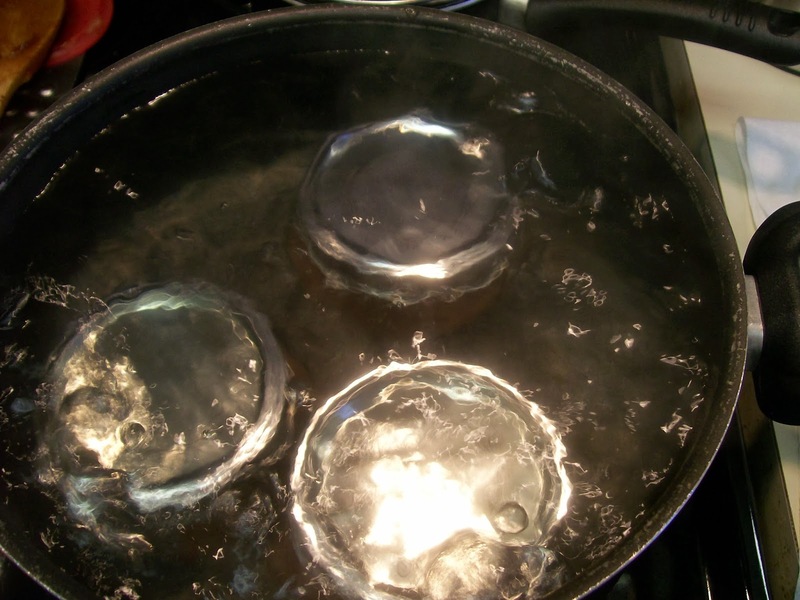 To seal your jars, in a large deep pot of boiling water place jars inside making sure water covers the top of the jars. Cover the pot and boil jars for 10 minutes. Remove jars with canning tongs, wipe off any excess water and place jar on a cooling rack. Repeat process with remaining jars. Let apple butter cool to room temperature. This can take up to 12 hours. You should hear some of the tops on your jars making a “popping sound” meaning they are sealing correctly. Once cooled, place jars in the fridge (this helps your butter become even thicker). 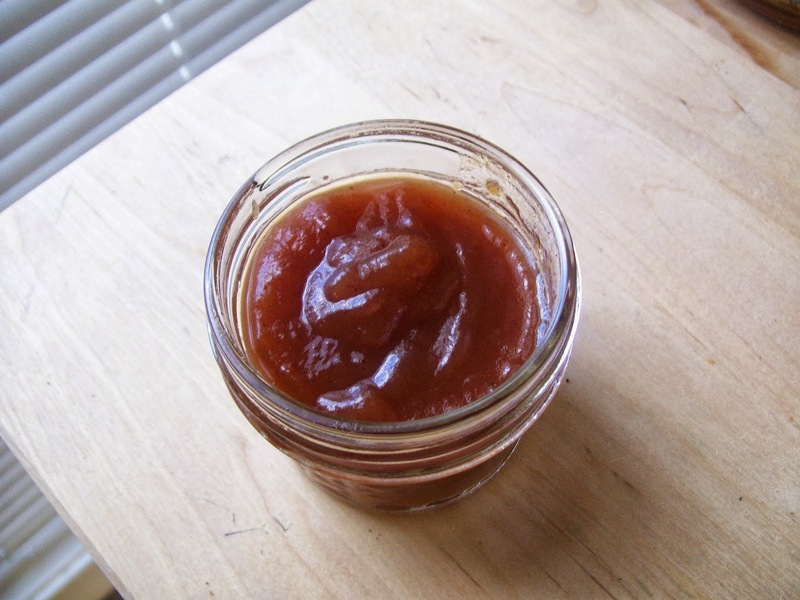 You can store apple butter in the fridge for up to 6 months, if they are sealed correctly. I hope this helps some of you that I know wanted to try and make this but were really apprehensive about the process. Trust me its a little time consuming, but very easy and the end results are fantastic. I recommend doing this with someone to speed things up, especially the apple peeling and chopping part. Prepare the jars: Heat oven to 225 and place jars (but not lids) on the baking racks. Jars will need to stay in the oven for at least 20 minutes. Wash the lids with hot water and let them dry completely on a clean towel. Make the apple butter: In a big, heavy pot over medium/med-high heat add the apples and enough apple cider to just cover the apples. Bring to a simmer. A bit of a foam will form, you want to skim that off a couple of times (don’t obsess). Cook the apples until they are tender throughout, roughly 20-30 minutes. 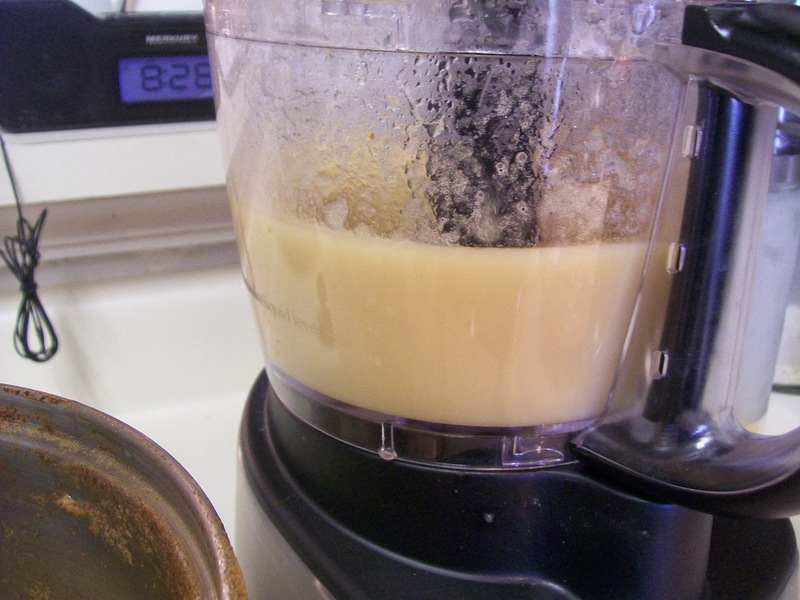 Take the apples off the heat, let them cool for a couple minutes, and then puree in a blender or food processor, in small batches (don’t fill the blender over half full with the hot liquid or you will have a mess). The puree should be the consistency of a thin applesauce. If it seems a little thick add more hot liquid. Discard any reserved hot liquid that you don’t use. Put the puree back in the big pot over medium heat. Bring puree to a simmer (you need it to hit 220F on a candy thermometer). Then, while stirring, slowly sprinkle in the sugar, cinnamon, nutmeg, and lemon juice. Continue to simmer over medium/med-low heat. It takes quite a while from this point until the apple butter reduces and really thickens up, anywhere from 1 to 2 or 3 hours (try to keep it around 220F). Make sure you stir regularly, you don’t want it to burn or cook to the bottom of the pot. 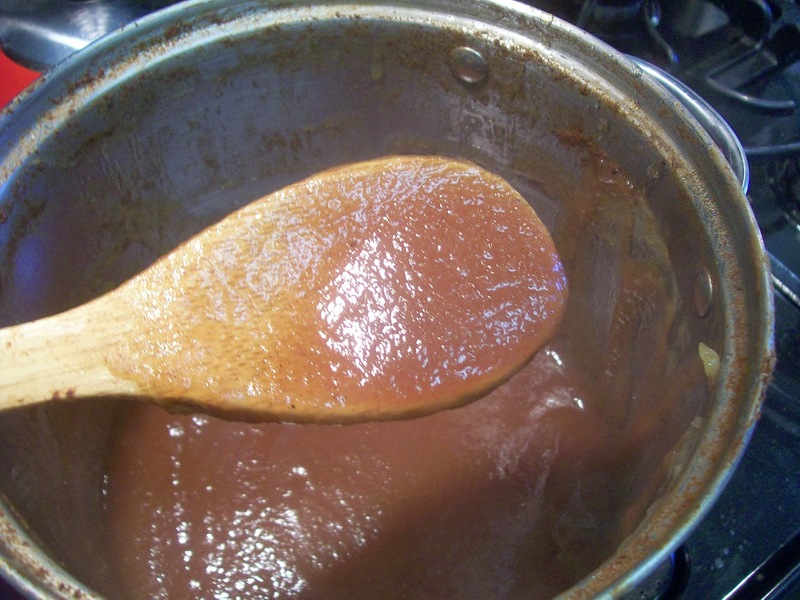 You are looking for the apple butter to thicken up and darken. Towards the end it gets a bit messy, the simmer becoming more lava-like – it also sounds different, lots of plop and slop noises and lots of spattering coming from the pot. Remove from heat. Fill the jars: Using tongs carefully remove each jar from the oven and fill to within 1/4 inch of the top with the apple puree. Wipe off rims with a clean dry paper towel. Place a dry lid on each jar and close tightly. Using tongs place each of the jars in the boiling water and boil for 10 minutes.